Several tornadoes slammed into homes near Granbury, demolishing homes and killing at least six people, according to the Hood County sheriff. Hood County Sheriff Roger Deeds said that six people had been killed and the death toll "could climb higher." At least fourteen people are unaccounted for as of midnight, but authorities are still working on an updated number, he said. 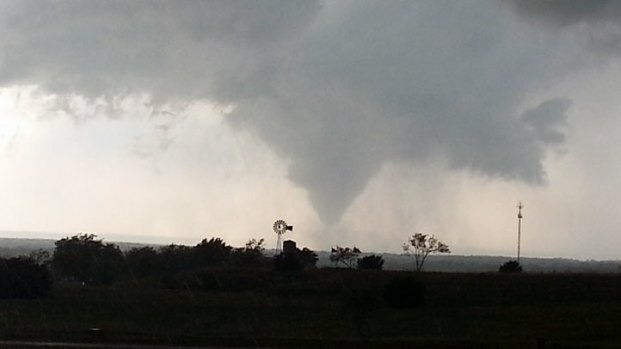 Injuries are reported in Cleburne, where a mile-wide tornado was reported Wednesday night. Rescue crews will search the area at daybreak, but deputies are confident that they have found all of the victims, Deeds said. Emergency workers were going home to home in the DeCordova Ranch and Rancho Brazos Estates neighborhoods, which are in the southern part of town. 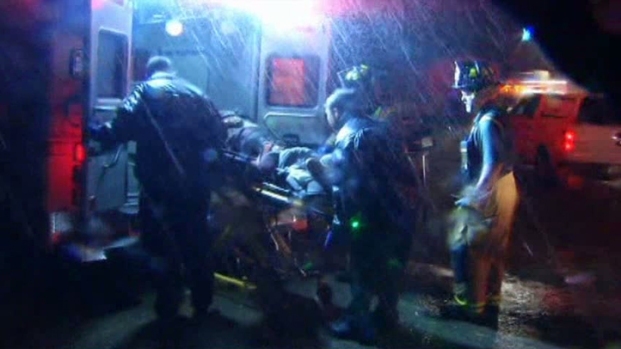 More than 90 people have been evacuated, and about 10 are in shelters overnight. Authorities are still working on getting a count of how many people have been evacuated, Deeds said. Lake Granbury Medical Center said it received more than 40 people with injuries such as minor abrasions, fractures and other injuries. Deeds said 14 were admitted, while another 16 people were taken to Fort Worth hospitals. People searching for family members are asked to call 817-579-2888. 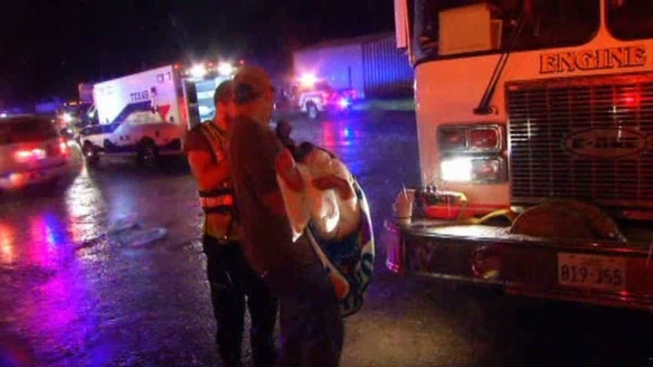 Injuries are reported in Cleburne, where a mile-wide tornado was reported Wednesday night, NBC 5's Omar Villafranca reported. Downed trees and power outages were also reported in Cleburne, which was declared a disaster area early Thursday morning. Heavy damage was reported at Gerard Elementary School, but the extent of the damage was not immediately known. State troopers cordoned off part of the area near the school. Homes near the school were damaged, Villafranca reported. A Johnson County constable confirmed that there were injuries. Ambulances were spotted leaving the area. Storm spotters reported seeing a mile-wide tornado five miles northwest of Rio Vista at 9:19 p.m. 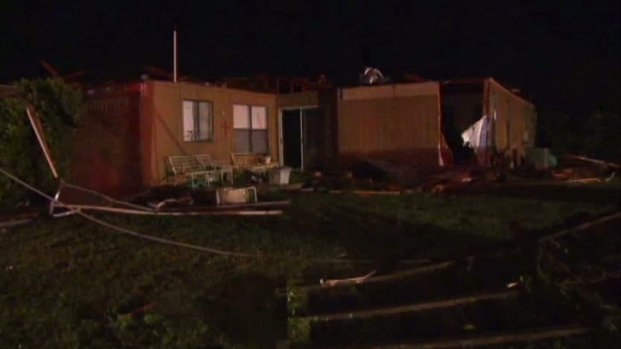 Heavy damage was reported in Cleburne a short time later, but it was unclear what had caused the damage. In addition to the tornado, Cleburne also also saw heavy winds of 75 mph to 85 mph winds. Keaton Taylor, the assistant manager of a Home Depot in Cleburne, said there is a lot of damage in the area. The store is staying open all night for people who need supplies or shelter. There were also reports of another tornado in Hood County at about the same time. Hail up to the size of grapefruit pelted the area around Mineral Wells on Wednesday evening, but police dispatcher reported only minor damage. Click here to see weather maps and radars on NBC 5's Weather page. Click here for the current severe weather alerts for the area. NBC 5's Scott Gordon, Omar Villafranca and Chris Van Horne contributed to this report.